In addition to the end-user software IC 3D, we offer a Microsoft Windows C/C++ programming interface for the easy acquisition of 3D data from The Imaging Source's stereo camera system. The programming interface enables fast integration with existing software. 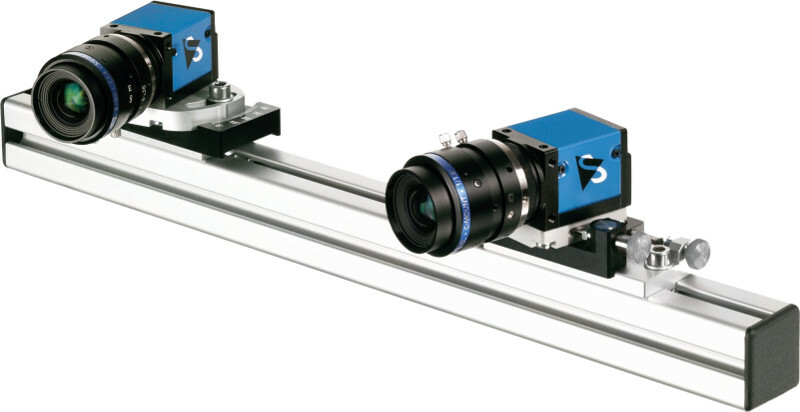 The IC 3D stereo camera system consists of two compatible industrial cameras, which are selected based on application requirements and mounted to a stable track. This track allows for rapid adjustments to camera distances and angles to realize various working distances and depths of field.